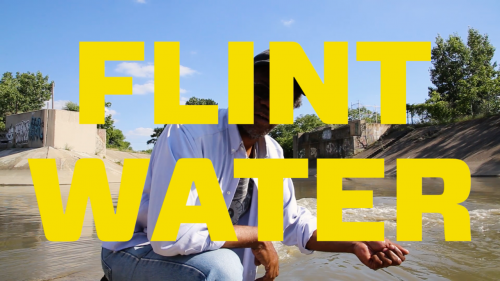 Chicago-based artist Pope.L, who has been making public interventionist art for over twenty years, comes to Detroit artist-run gallery What Pipeline with Flint Water, on view September 7 through October 21, 2017. Conceived by Pope.L as one Midwest city helping another, both struck by similar blight, Flint Water is an art installation, a performance and an intervention that calls attention to the water crisis in Flint by bottling Flint tap water and putting it on display in Detroit. Flint Water will call attention to the city’s continued plight while raising funds to support Flint citizens in their struggle. All proceeds from the sales of the bottled water edition will be donated to charities that are dealing directly with the water crisis, including the United Way of Genesee County and Hydrate Detroit. 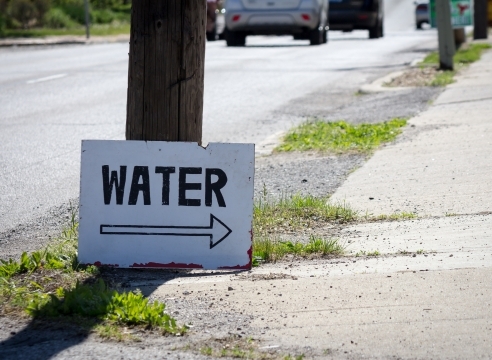 Some facts about Flint water: it may contain lead, E. Coli, legionella and listeria among other disease-causing bacteria. Today the EPA claims the water is safe. However, two years ago the EPA claimed the same thing and tragedy ensued. People died. Others were severely affected. 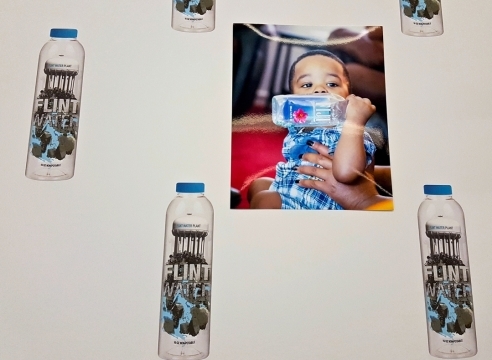 What Pipeline will also serve as an informal information center during the exhibition, providing details about Flint’s crisis and serious water issues happening in Detroit, the Midwest and beyond. Flint Water is supported by the John S. and James L. Knight Foundation, as part of its Knight Arts Challenge, Mitchell-Innes & Nash and Susanne Vielmetter Los Angeles Projects. A Kickstarter fundraiser will take place August 7 through September 6 to secure final funding for the project, and spread the word about the exhibition and art edition. For more information and to donate to the Kickstarter, please click here. 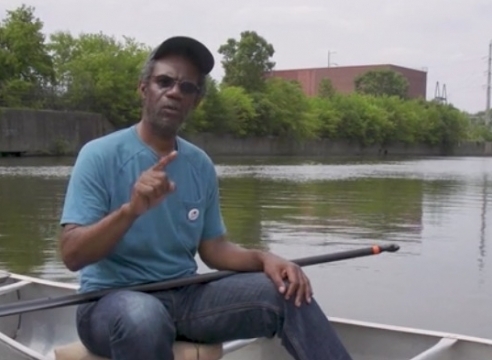 Detroit and its surrounding areas present a case study in urban decline – one that has spurred many artists to work directly with local communities. 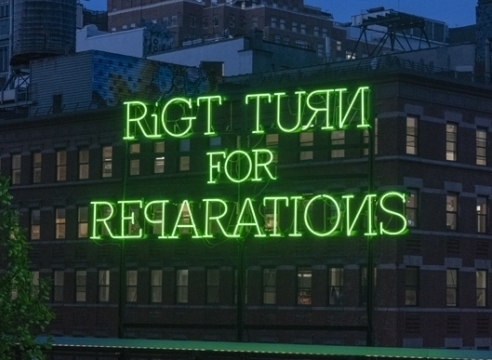 In Flint, Michigan, for example – a once-thriving industrial city and now a symbol of post-industrial neglect and government corruption – an ongoing crisis over contaminated water has prompted several artist responses. 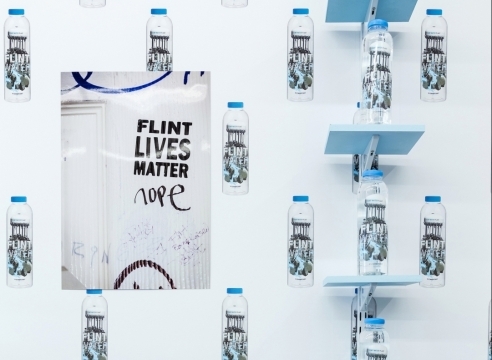 Chicago-based artist Pope.L, who recently won the 2017 Bucksbaum Award for his work in this year’s Whitney Biennial, is raising funds on Kickstarter for an interventionist installation and performance piece that calls attention to the water crisis in Flint, Michigan. 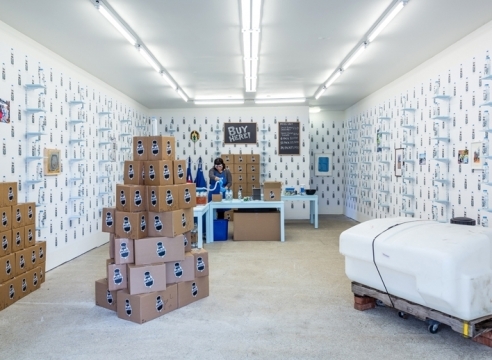 For Flint Water Project, the artist will purchase and bottle 150 gallons of polluted water from Flint residents. 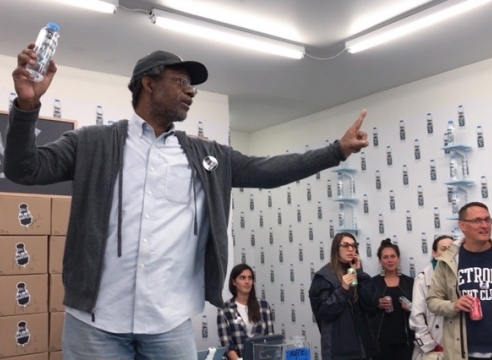 He will then sell the bottles as limited edition artworks in Detroit.